The Trevi Fountain is one of the world’s most famous fountains. According to legend, anyone who casts a coin into the basin will have their wish come true. It’s a fact that this place attracts a real fortune, because every year millions of tourists visit the “Eternal City”, believing in the myth of the Trevi Fountain. But where does all that money go? And what about the story of the fountain granting wishes? 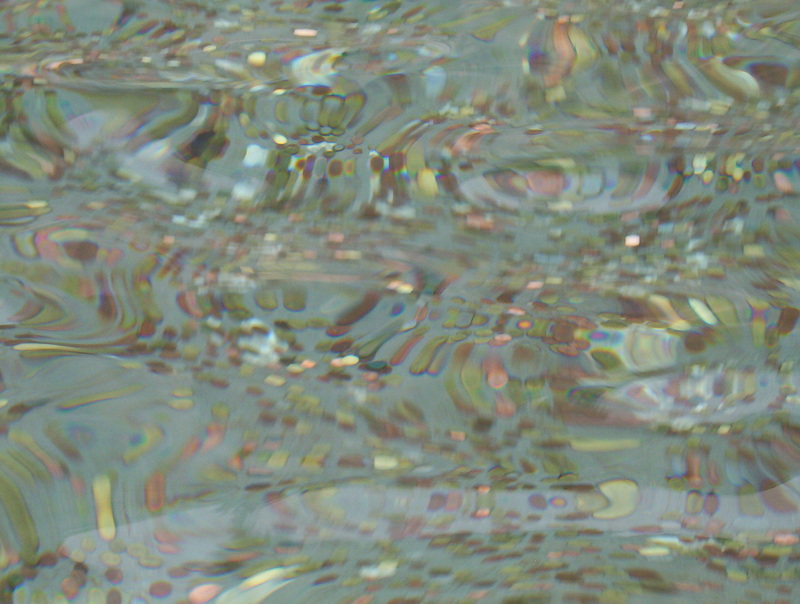 Where does the myth of the Fountain of Desires originate? 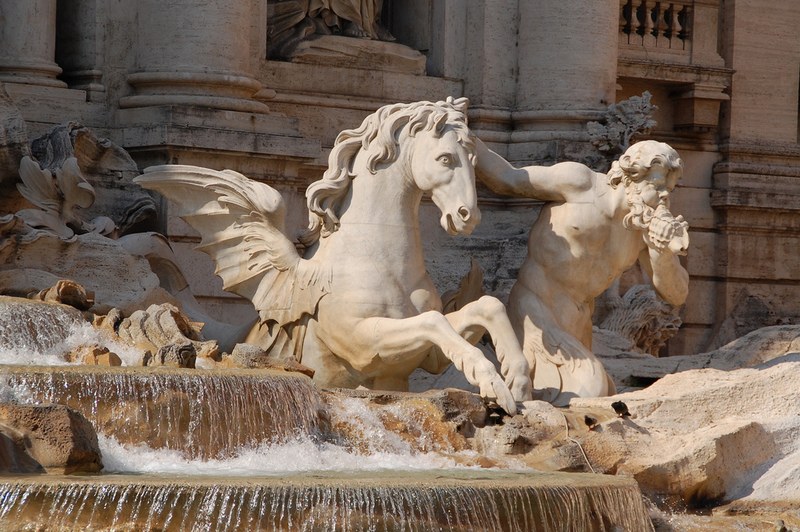 The construction of the Trevi Fountain dates back to 1730. The fountain was commissioned by Pope Clement XII and completed 32 years later. At the center of the 50 meters wide and 26 high monument, you can see Neptune, god of the sea, along with sea creatures, tritons and mythical creatures. The scene also shows a representation of the triumph of virtue and fertility. Standing against the backdrop of another building, this Baroque monument is powered by water from the aqueduct known as the Agua Virgo (“Virgin Water”), that once supplied ancient Rome. Tourists regularly remain speechless in front of this impressive water monument, which dominates the small square it is in at the end of some streets. 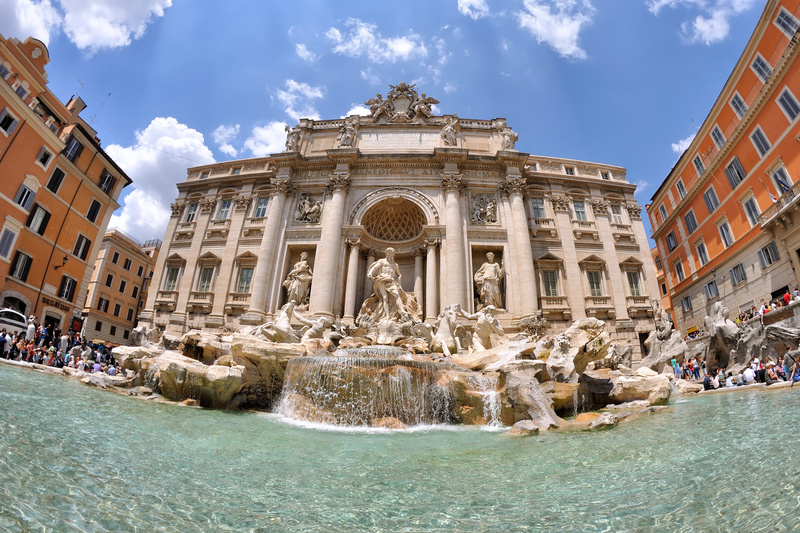 Its name comes from the fact that in ancient Rome, three roads converged here and over time, the name became “Trevi”. The famous Fontana di Trevi was immortalised in a scene of the Fellini movie “La Dolce Vita” in 1960, where the actor Marcello Mastroianni and actress Anita Ekberg take a bath in the fountain at night. As soon as dusk arrives at the site, thanks to the beautiful baroque decoration and lighting effects, the Trevi Fountain becomes an idyllic romantic monument. The ritual of the throwing of the coin into the water is very precise: it requires that you flip the coin into the fountain water with your right arm by tossing it over your left shoulder. In 1954, this custom of throwing a coin into the water gained popularity with the release of the movie Three Coins in the Fountain. 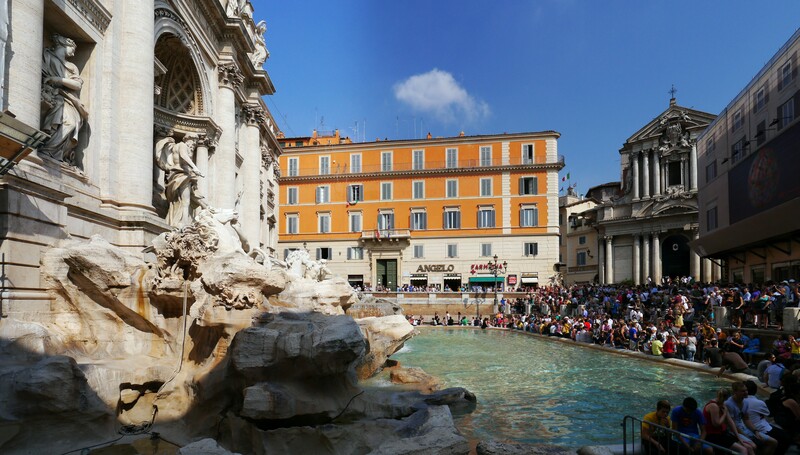 According to legend, whoever throws a coin into the fountain will be sure to return to the “Eternal City”. And those who throw two coins will fall in love with an Italian man or woman. Couples who throw a coin into the fountain of wishes will have the opportunity to marry the one their heart has chosen. The desires of visitors to the fountain are varied but most are about material things, existential themes, or the search for true love. Because love is known to have no limits, huge sums of money from all countries of the world are collected each year at the bottom of the Trevi Fountain. In 2010 alone, the funds were around €800,000, the equivalent of about €2200 per day! The following year the total has risen to more than €950,000. In 2012, a new record was exceeded, with €540,000 already by the middle of the year. In the face of this constant rain of coins, tourists may think that the fountain could spill over in a very short time. The city of Rome, however, ensures that this never happens. Earlier coins were collected by civil servants assigned to the fountain. However, because of the many pounds of money thrown away every day in the water, with more than 30 tons of coins accumulated each year, the city has been forced to seek support. So today, the fountain is emptied daily by an underwater vacuum cleaner. Thirty bags of coins are recovered every day. The collection is then deposited in the bank, and converted, if necessary, back into cash. The money is earmarked for Caritas, and used in helping the poor. In this way, emergency shelters and soup kitchens for the poor get funded. Also, any thieves do not stand a chance with the Trevi Fountain because the monument is heavily guarded. Attempting to steal a coin from the water is punishable with a fine or imprisonment. The Trevi fountain is far from being the only attraction in Rome. There are other world famous monuments like the Colosseum, the Sistine Chapel, the Pantheon and the Piazza of Spain. The casual visitor can also visit the Church of Saint Ignatius of Loyola, the Momart Art Cafe in Coppedè, the shopping street Via Cola di Rienzo or the Park of Villa Torlonia. For a nice hotel in Rome, we recommend a downtown location, given that many places are right within this relatively small perimeter. The Hotel Saint Paul or Hotel Suisse are recommended for this reason.